Countries are strongly encouraged to send personnel with direct national responsibility for, or experience with, the two themes outlined below. NATO Allies are also welcome to attend but must do so on self-funded basis. 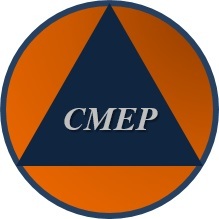 CMEP Background: CMEP is a DoD security cooperation program that originated in 1992 to support NATO Partner nations in enhancing civil-military cooperation and building national-level capacity in emergency preparedness. CMEP works with NATO Partners in “all hazard” emergency preparedness, with specific support to the NATO Partner Cooperation Menu (PCM) areas of cooperation Crisis Management (CM) and Civil Emergency Planning (CEP). Event Summary: In response to a variety of crises, such as the recent migration crisis or natural disasters of unusual severity, the use of armed forces to support civil authorities has been increasing. This multinational “Defense Support to Emergencies” conference seeks to provide defense and armed forces personnel with a forum in which to discuss and exchange perspectives, experience and lessons learned along two major topics: national response to emergencies and international disaster relief operations. Given the topic of this conference, the CMEP Program is extremely pleased to conduct this event in collaboration with NATO’s CMDR CoE. The newest member of the NATO CoE community, it seeks to improve interoperability, development and enhancement of NATO standards in building capacities, providing assistance for the effective use of joint experience and capabilities and education and training of personnel in the field of crisis management and disaster response.